The latest hot news in the media is that Aamir Liaquat is going to leave Geo TV and he is going to join the channel Express Network. According to the details, six months back Aamir Liaquat asked Geo to make him the News Director of Geo News but that did not happen. He is currently acting in the capacity of Vice President of Geo. The news is that Aamir Liaquat gave his resignations months back, he was only waiting for his contract to end. Aamir Liaquat has hosted many shows on Geo which got a lot of popularity. He started his career with the show “Aalim Online” and has done many shows since then. 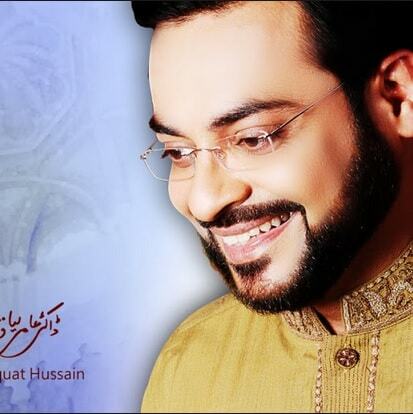 For the past few years Geo’s Ramazan transmission has been hosted by Aamir Liaquat too. According to the sources Aamir Liaquat’s Ramazan transmission was the most popular. This year it seems that we will be seeing Aamir Laqiuat on another channel.